Last month, you may remember that having made gingerbread men with the children, we were surprised when one decided to up and leave for a holiday, rather than hang around to be eaten. Our Gingerbread Man was spotted here early in his adventures. Since then, we have had several cards, letters and postcards from both the gingerbread man and people who have spotted him, and so we have begun tracking his movements. We’ve made a map on Google maps, showing where he started and all the places we know that he’s visited. We hope to be able to keep on adding to this as information comes to us. 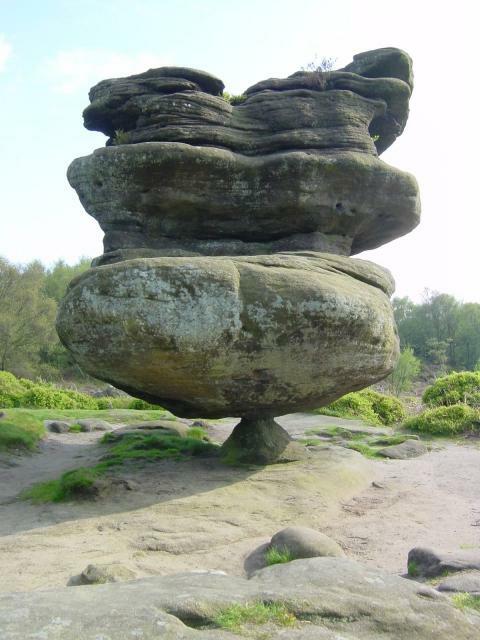 He’s had some interesting adventures – he seems to like rocks, having visited both the Black Rocks at Matlock Bath and Brimham Rocks near Harrogate. He’s been to London Bridge (where he abandoned his host, having listened to tales of her homeland – he ran away from her when she asked about where he was from, and she couldn’t catch him because of her high heels) and he’s been bungee jumping off a bridge in Maidstone (with his cousin, whose photo appeared on the latest card to be sent by our gingerbread man). He’s been spotted in Wales and Oxford, and was seen hanging around the Eurostar. Our plan, as well as marking these places on our map, is to research each place. Some of these pieces of research might be quite quick. Some might take longer, especially if Bean finds an aspect that really captures his imagination. We’ll try to find out something about each place, and draw or create a piece of artwork (again, some quick sketches, others more elaborate, depending on inspiration) to go with each. For instance, if he visits Malaga, we might try creating a picture in the style of Picasso. If you would like to help us out by telling us where you saw our gingerbread man, the details are here. I feel sure that he will make it off our island at some point, and so if you have any friends abroad who might like to send us a postcard, I’d be very grateful if you’d pass on our info.